The small, cheap, hacker friendly, internet-connected Raspberry Pi mini-computer is a perfect choice for numerous electronic projects, and one desirable factor for such an assembly is to have minimum clutter. The IEEE standard of Power over Ethernet (PoE) lets user shoot two goals with a single solution, provide internet connectivity and power over a single Ethernet cable. The new Xtronix Raspberry Pi Power Over Ethernet (PoE) Adapter achieves exactly the same by providing +5 Volts at up to 1 Amp to the Raspberry Pi over the standards compliant IEEE 802.3af POE specification. 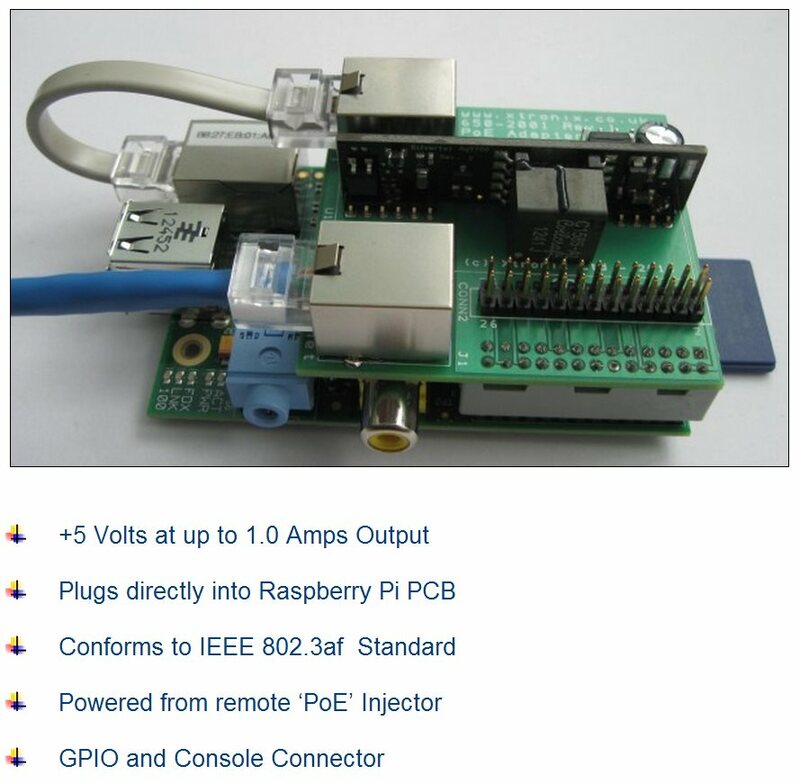 The add-on adapter plugs directly on to the Raspberry Pi GPIO, and is available for order via eBay now. Demonstration video and buy link posted at the end of this post. Will this system work with the Raspberry Pi B+? Since both boards are identical with minor hardware revisions this should work.